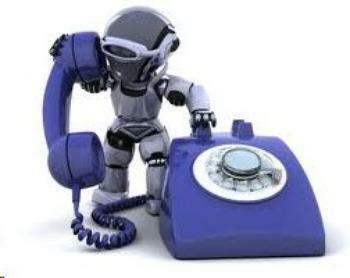 Trying to stop robocalls once they've been placed is like trying to pull back an email sent in error. It's just about impossible. So the Federal Communications Commission is proposing a new method: cutting off known scam robocallers before they're able to dial out. It's called the "Do-Not-Originate" rule, and it would update a longstanding FCC rule that requires telephone companies to complete all calls. The idea was developed by an industry strike force the FCC put together a few years ago. In a test last year, the concept reduced IRS scam calls by about 90 percent. There are an estimated 2.4 billion robocalls per month in the U.S., so there is no shortage of candidates for blocking. Besides allowing the blocking of calls from known scam operators, the proposed rule would allow carriers to block calls that are obviously fake -- for example, those displaying a Washington, D.C., area code despite being placed from somewhere else. Since many scam calls originate overseas, it is difficult for law enforcement to track down and stop the perpetrators, but blocking calls at the source would effectively shut down the operations in less time and with less expense. Besides the proposed new rule, the FCC also adopted a Notice of Inquiry which seeks public comment on how to further enable carriers to block illegal robocalls before they can reach consumers. "The Commission is asking how to create a safe harbor for providers from FCC call completion rules when they rely on objective criteria to identify and block calls that are highly likely to be fraudulent, illegal, or spoofed robocalls," an FCC spokesman said. "If the carrier can reasonably surmise that a call is a scam call using fake caller ID, carriers could be able to proactively block those calls."